It's the time of year where we all like to stay warm and, if you're anything like me, that includes cuddling up with a nice hot cup/bowl of soup. Many people have New Year's resolutions of eating healthier, but don't want to change their lifestyle. I can say that I enjoy cozying up with a blanket on the couch and eating hot soup for lunch while watching a movie. We had 3 inches of snow here over the weekend so this was a perfect time for me to try some healthy organic Blount Soup. It was so good I had to tell you guys about it! Before I get into all the ways this soup is good for you, let's visualize the yumminess on this cold day! Here is my soup! There are 8 varieties of soup so you are sure to find a flavor that suits you. There are no artificial ingredients and everything in the soup is organic. The nice part is that I can enjoy healthy organic soup without having to make it from scratch all day in the kitchen. This gives me time to do other things instead, so that's a plus! The Blount family has been in business since 1880 and are still bringing you and your family healthy foods today! It's the New Year, so why not try some healthy (and yummy) soup for your family? 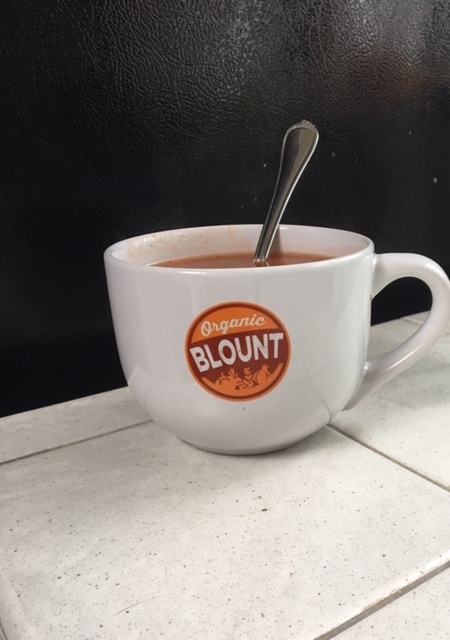 Head over to their website for more info on the flavors, store locations where Blount soup is sold near you & other products!